In our main hall, behind the rolling door, is a tree with golden leaves behind glass. There are several honored names on those leaves. The tree is about 2/3 full. Yet there is room. Engraving a leaf costs $200, a larger leaf costs $500, and a Fez costs $1,500. The money received goes to our Endowment fund, which covers major facilities projects not covered in day to day operations. When we have an event, please look at the Endowment Leaves. Several honor members who are often referred to in legends reverently. While the cost of honoring someone with a leaf is not insignificant, neither are the projects funded. One was resurfacing the parking lot. Part of the attraction for organizations renting our facility is having a very large safe parking lot. Without those organizations renting our rooms, we would be hard pressed to remain open. Without elaborating, just imagine if we didn’t have our building, Reflect to retrieving equipment stored in a member’s basement. And then think about your unit room. What happens if the member moves without notice? Where do your memories go? Purchasing an Endowment Leaf helps keep us here. How does this thing work? 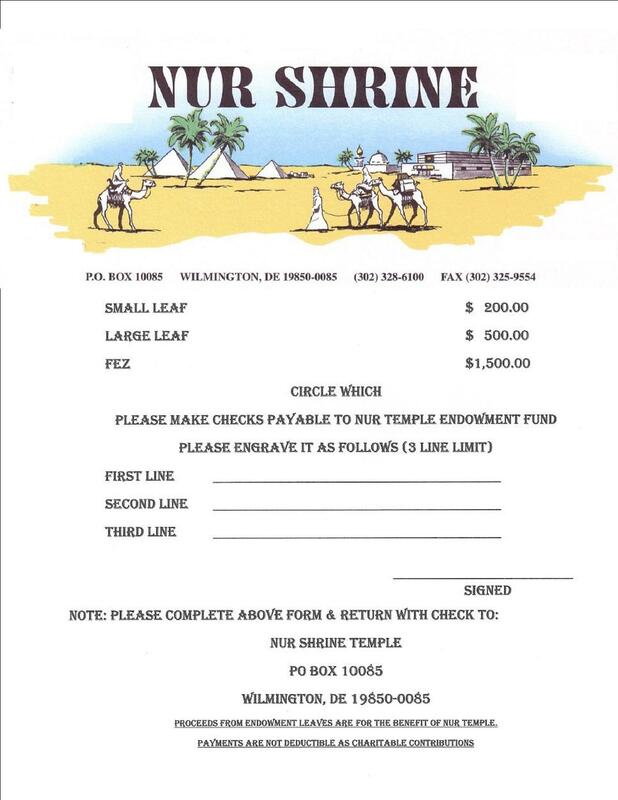 You fill out a form specifying what size leaf or fez you wish to order. 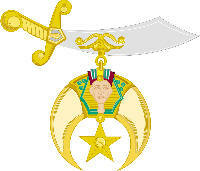 It details the fee for the leaf or fez. Also it gives you three blank lines for the memoriam. As with any order, your signature is required, and a method of payment is provided. When the leaf arrives, you will have an opportunity to see if all meets your expectations. And we are sure you will want us to make arrangements for the presentation. Perhaps it’s a small gathering, or perhaps you will want us to include a formal presentation within in one of our annual meetings.